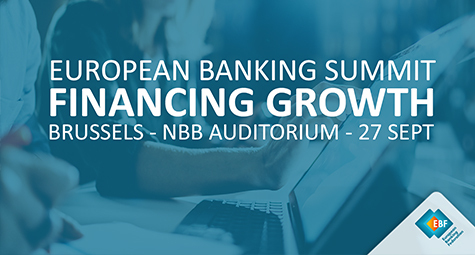 The EBF’s European Banking Summit in Brussels has become an annual landmark moment to define key challenges for the banking sector and to discuss solutions. ‘‘Financing Growth’ is the theme for the 2018 summit. The key focus will be the role of banks in financing the economy and the challenges and opportunities for Europe in the coming years. 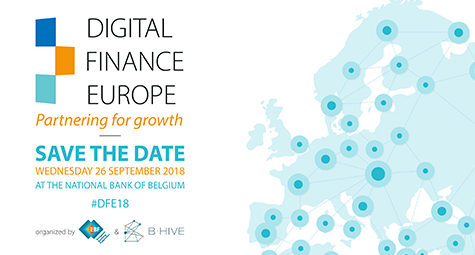 European Banking Federation & B-Hive together present Digital Finance Europe: partnering for growth. 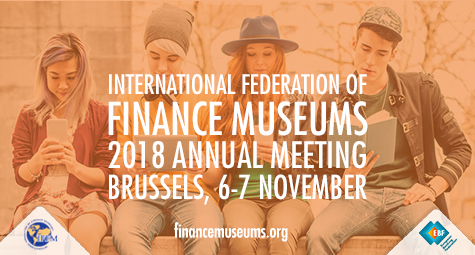 Speakers from EU institutions, regulators, financial professionals and innovators will discuss the latest transformation of finance, artificial intelligence, fintech collaboration and regulatory impact. The European banking sector is committed to meeting the financing needs of all companies, including small and medium sized enterprises. SMEs are the backbone of the European economy. For example, within the Euro area, they constitute 98% of all Euro area firms, employing around three-quarters of employees and generating around 60% of value added. While banks already provide a substantive amount of financing for SMEs, they see it as their responsibility to constantly strive to improve the conditions for SME financing and to remove any obstacles. Against this backdrop, the European Banking Federation signed an agreement a year ago in 2017 at the EBF offices, in the presence of Commissioner Dombrovskis, to provide feedback to SMEs when their loans are declined1 . Building on many national public and private sector initiatives across Europe, the agreement (the ‘High Level Principles for Banks Feedback on SME Credit Applications’) is aimed at bringing all banks to the same level in terms of the minimum feedback provided to SMEs. The ultimate goal is to ensure that the loan application process, even when not immediately successful, can become a constructive step in the business development of a company – which also serves the broader objective of the EBF to improve financial education in Europe2. The agreement, which was spearheaded by the EBF, was signed by a wide range of banking associations comprising the full spectrum of banking in Europe. The seminar marks the 1st anniversary of this important agreement by bringing together representatives of the banking and SME sectors to review the implementation of the agreement across Europe, to learn from best practice and to identify objectives for future progress. In addition to SME lending, we will also discuss alternative sources of finance for SMEs and the specific needs of high-growth companies. 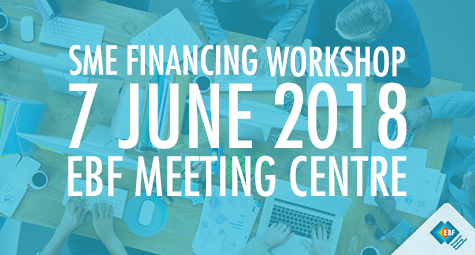 This is the first of a series of seminars that will be organised on SME financing. All public and private sector guests interested in SME financing are welcome to attend. The EBF is a Strategic Dialogue Parrtner of the BBSF conference. We buy, we spend and we do our banking more virtually than ever. The way we manage and understand our money is drastically changing due to the digitalisation of our everyday lives. Banks and startups are actively developing innovative tools to make financial services more user-friendly and improve financial well-being for consumers and employees. In a half-day seminar we aim to discuss the financial education in light of the digital revolution. Let’s be amazed by the possibilities Fintech tools can give us and how digital literacy is crucial to remain future-proof. 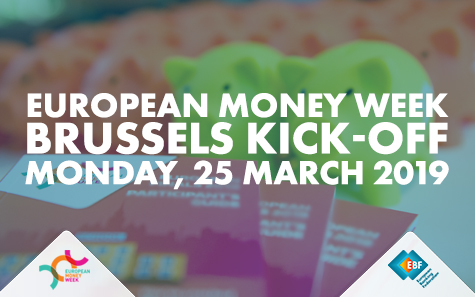 The European Money Week is organized by the European Banking Federation to highlight financial education. 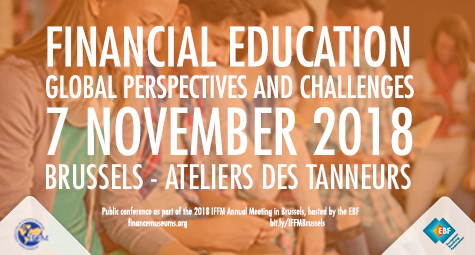 This year, the main topic at the Brussels kick-off will be the gender gap in financial literacy, as well as the role of financial literacy in sustainable finance. The EBF kick-off event brings together academic speakers, financial education specialists, policy-makers and financial sector representatives. 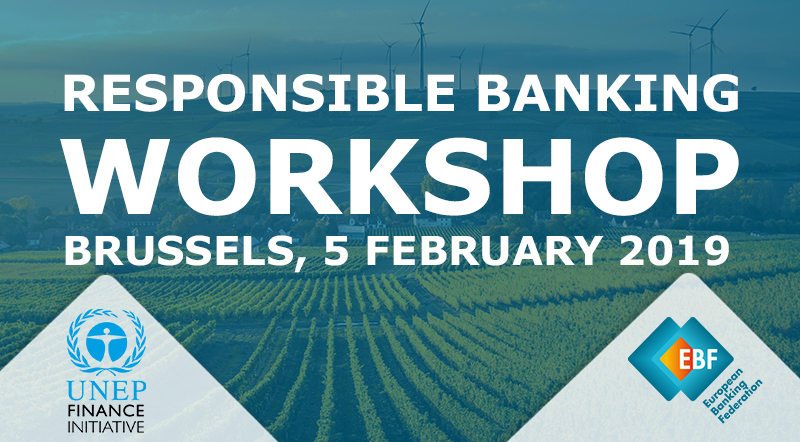 This research-based workshop, co-organised by the European Banking Federation and the European Savings and Retail Banking Group, will gather academics, regulators, supervisors and representatives of the industry to exchange views on the topic of proportionality, which has gained momentum at EU level and is, in particular, relevant for ongoing legislative debates on banking package reforms of CRR and CRD IV as part of the Risk Reduction Measures. 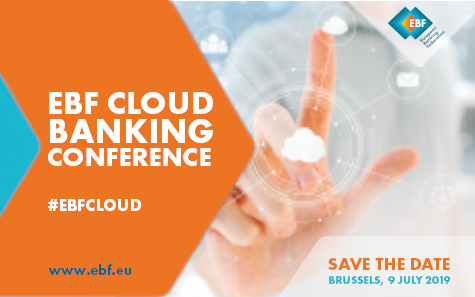 The conference will also see the launch of the European Cloud Banking Forum, an EBF initiative that seeks to promote the wider adoption of the cloud by the banking sector. Since 2014, the EBF Annual Tax Conference has been a landmark event for the European banking sector and for our federation, which aims for an active exchange of views with all key stakeholders on pivotal tax questions. Speakers and delegates are coming from Government bodies (OECD and EU Institution), the industry, academia, legal and consulting firms and the International Bureau of Fiscal Documentation. Our 2017 Tax Conference is sponsored by Deloitte, PwC, EY and Lawsquare. 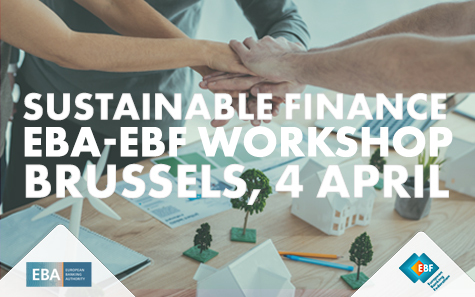 The European Banking Federation (EBF) together with the European Confederation of Directors’ Associations (ecoDa) are therefore organizing a joint event on October 25th on Boards’ efficiency and fit & proper rules in financial organizations on the EBF premises in Brussels (Avenue des Arts 56) from 9.00 to 11.45 (followed by a cocktail). The speakers will question: How judging ‘the fit’ of an individual board member should be done in light of the composition of the global board? What should be the periodicity and the depth of assessments? How should the national supervisors complement the role of boards in assessing the suitability of directors, before any nomination or re-nomination? The conference will finally question to what extent the ECB and EBA guidelines might be inspirational for a more general reflection on ‘internal governance’ from the perspective of a conglomerate or industrial group and all of its constituent companies and business units. Exchanging on the challenges faced by banks in managing cyber risk, especially in regard to intelligence sharing and incident reporting. A thriving European economy and flourishing society. Banks are keen to deliver on their role in society as partners in prosperity. For the European Banking Federation this is about creating a stable and inclusive financial ecosystem, with secure financing available for citizens, businesses and innovators everywhere, supported by excellence in regulation. Brexit raises the crucial issue of knowing whether EU 27 economies and enterprises will be in a position to access the financial services that they need. The conference will convene business leaders, senior policy makers, regulators and experts. It will address the issue with a capital markets, asset management, insurance and banking prism. 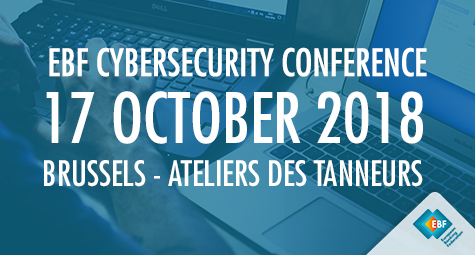 The conference will feature discussions on the work of the Article 29 Working Party on the effective implementation of the GDPR and the pressing need to facilitate the free flow of data in the EU and globally. 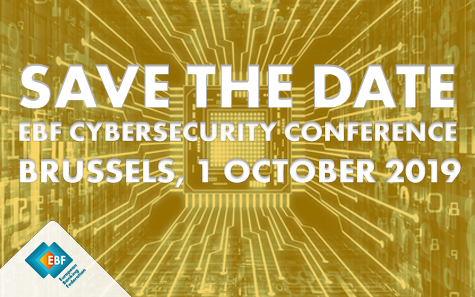 This event will include two interactive sessions with national Data Protection Authorities, EU policymakers and leading representatives from the banking industry to help shape the evolving dialogue and share genuine learnings from each other’s experiences. It will be also an opportunity to have an exchange of views with the European Commission just after the launch of the mid-term review of the digital single market strategy (DSM) in particular regarding the free flow of data issue. 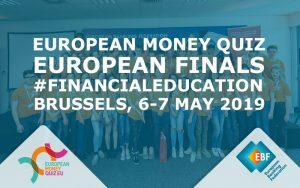 European Money Week is a joint initiative by European banking associations that aims to raise public awareness on financial literacy and improving financial education for students from elementary and secondary schools. The week consists of a series of events in the participating countries and at a European level. Ultimately, the objective is boosting financial literacy and improving the level of financial education in Europe. Photos from meeting, soundcloud embed, article on Lusarti are available here. Video – Financial Education Roundtable – Panel 1: Is financial education a missing link? Video – Financial Education Roundtable – Panel 2: Can financial education benefit consumers? 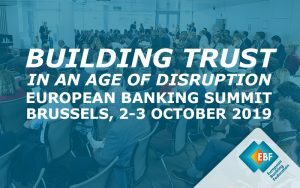 The annual conference of the European Banking Federation brings together key policy makers from the European Union with leading industry representatives, including CEOs of top European banks. 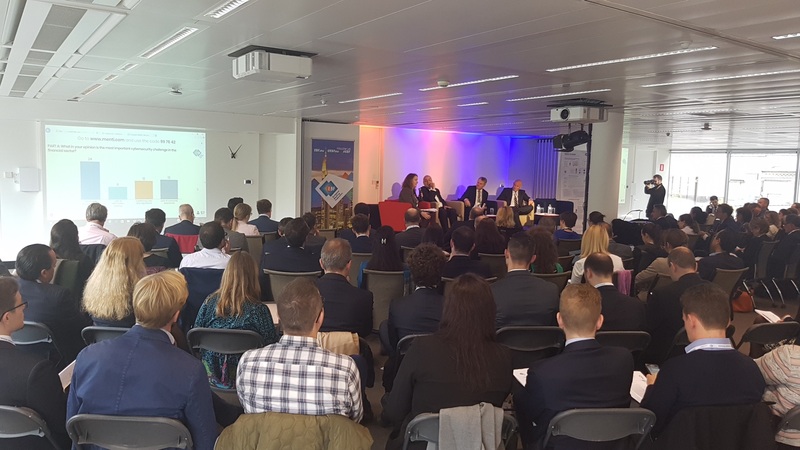 Key developments in banking regulation, the theme of changing culture and improving conduct in financial services, digital banking and the pivotal role for banks in the new growth ecosystem under Capital Markets Union were discussed at this landmark event for the European banking industry. 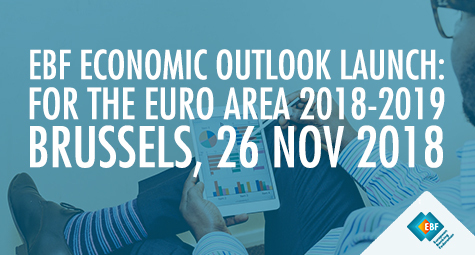 The annual conference of the European Banking Federation is a landmark Brussels event discussing key developments in the European banking sector. The conference brings together chief executives from leading European banks with EU-level regulators, policy-makers, and other stakeholders in Europe’s economy at large.